Roll It Up for a Delicious Marijuana Pumpkin Recipe! 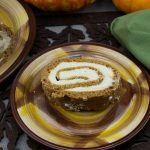 This fabulous light pumpkin spice cake, rolled together with a rich, cannabis infused cream cheese filling, is one of my favorite marijuana pumpkin recipes. 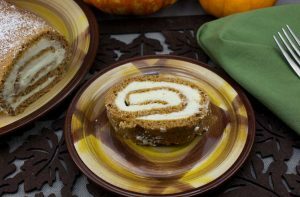 It makes a special dessert anytime to you want to invoke autumn’s favorite flavors. The festive dessert would even be at home on a holiday dinner table. While it might seem complicated, this impressive looking cake is actually pretty easy to make. 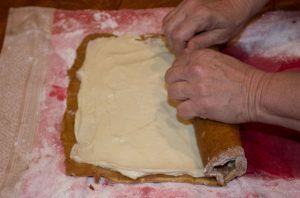 There is no fancy decorating to do and no pastry bag needed, just spread the filling onto the cake and roll it all up! 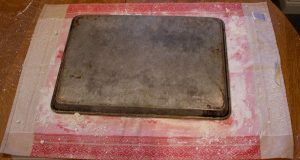 Preheat oven to 375º F. Grease a 12" x 17" jellyroll pan or cookie sheet with sides. 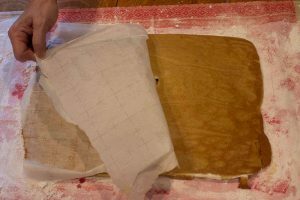 Line pan with wax or parchment paper and grease and flour the paper. 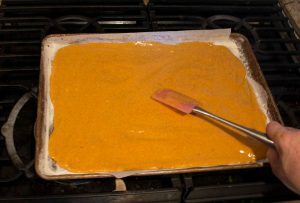 In a small bowl, combine the flour, baking powder, baking soda, pumpkin pie spice and salt. 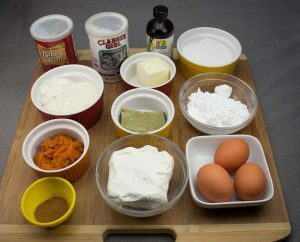 In a large mixing bowl, beat eggs and sugar together with an electric mixer until thick and pale yellow, about 2 minutes. 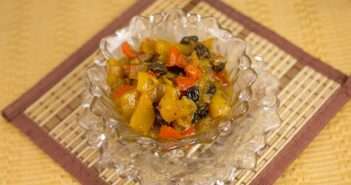 Stir in canned pumpkin until well combined. Stir in flour mixture just until combined. Use a rubber spatula to smooth the batter out to the edges in an even layer and bake 12 - 15 minutes or until cake springs back when touched. While cake is baking, prepare clean kitchen towel by laying on the counter and dusting evenly with the powdered sugar. 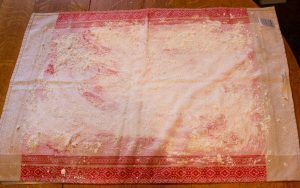 When cake is done, immediately invert onto kitchen towel. 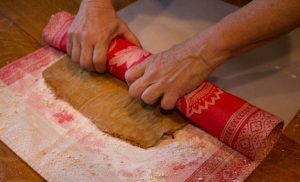 Starting at the shorter end of the towel, gently and loosely roll the cake inside of the towel (towel will be wrapped up inside the cake roll). Move to a rack and cool completely before filling. Combine all ingredients in a medium size bowl and beat until fluffy. 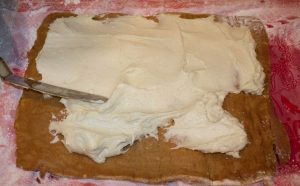 When cake is cool, unroll from towel and spread the cream cheese filling over the cake up to the edges. Re-roll cake and wrap in plastic wrap. Refrigerate for at least 1 hour. Dust with powdered sugar just before serving and slice crosswise into pieces.